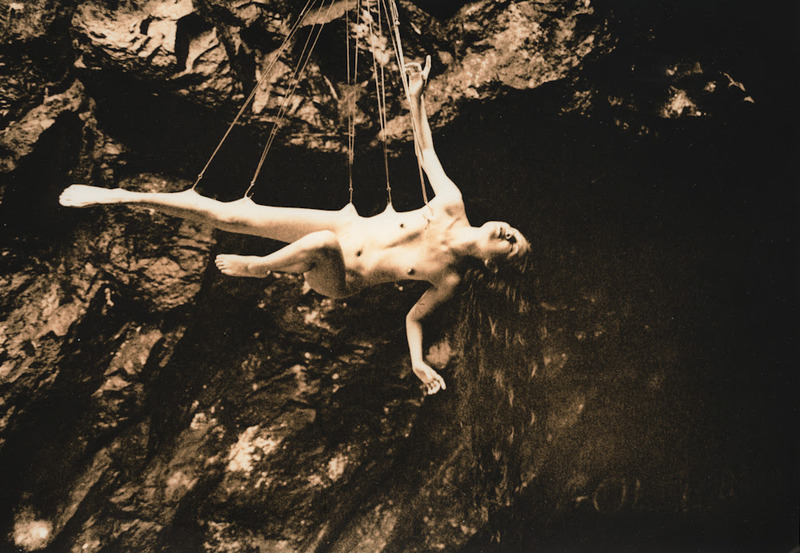 In just over one week, Gretchen Heinel and Luna Duran are co-hosting an event, MYTH TO FLESH: LIVE in NYC which is the culmination of Heinel and Duran’s longtime, ongoing collaborative photo project, Lilith: From Myth To Flesh. Lilith: From Myth To Flesh is a collaborative project undertaken by performance artist Luna Duran and photographer Gretchen Heinel. By undergoing ordeals of the flesh, the artists aim to understand and communicate the sacred and transformative pain which Lilith endured as the consequence for refusing to live a life of subservience. 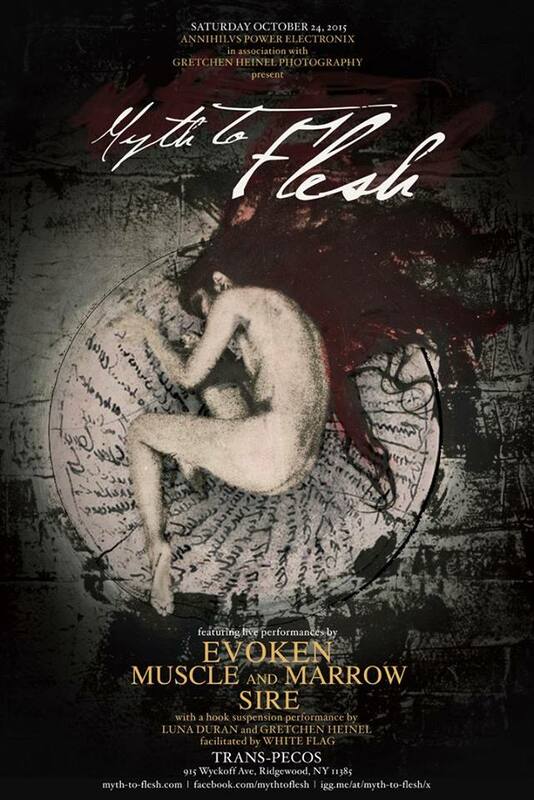 In addition to the entire photography project being publicly viewable for the first time, MYTH TO FLESH: LIVE will also feature live performances from Evoken, Muscle and Marrow and Sire. Additionally, Heinel and Duran will conduct a hook suspension performance facilitated by White Flag during Evoken’s live set. Presented by Annihilvs Power Electronix, MYTH TO FLESH: LIVE will take place in Queens, New York, bringing together underground photography installations, extreme music, hook suspension and more under one roof at Trans-Pecos, next Saturday, On October 24th. DJ sets by Derek Rush will fill out the evening between sets and installations. A recent feature ON MYTH TO FLESH at Cvlt Nation is posted RIGHT HERE. A video of a prior hook suspension from the duo is playing HERE and subdermal implant video playing HERE.